It’s no secret that corrosion costs. In fact it is thought to cost the global oil and gas industry in excess of $60 billion a year1. Taking that a step further, corrosion is cited as one of the major issues for pipeline failure in oil and gas and chemical process plants. Pipeline failures can lead to serious safety and environmental hazards which in turn can lead to penalties – increasing that cost of corrosion. To then shut down a pipeline for maintenance and repair only adds to the overall escalating expense. Pipe supports in themselves bring a host of issues and CUPS (corrosion under pipe support) is well known to be the second biggest issue of corrosion on external piping after corrosion under insulation. The area where the pipe and pipe support meet play host to the perfect environment for corrosion. Typically, water gets trapped and is combined with other accelerants – salt, humidity, abrasion etc. Due to the position of the pipe and pipe support it is very difficult to visually inspect and whilst technology can be used it requires specialist inspection equipment which is costly, this means corrosion can go unnoticed often being discovered when it is too late. 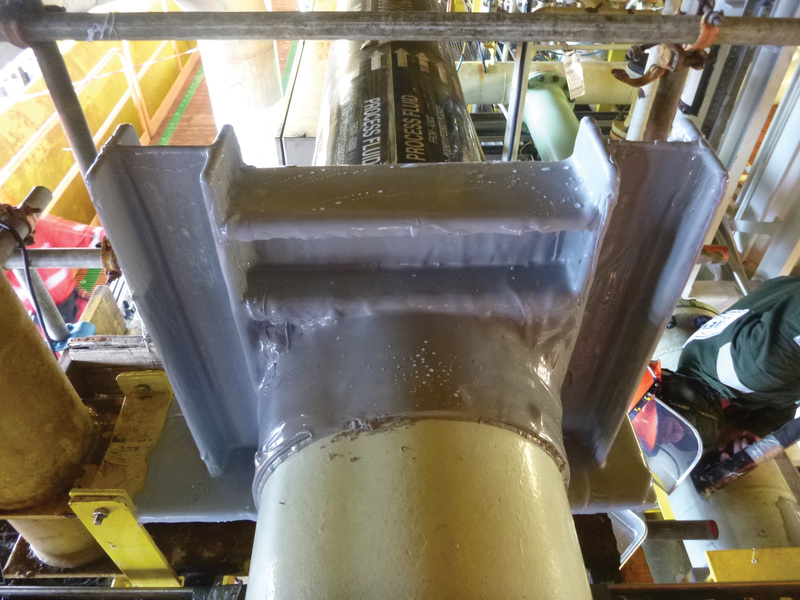 Pipe supports can now benefit from Oxifree’s solution for corrosion protection and integrity maintenance, TM198. Oxifree’s TM198 thermoplastic coating provides a single product solution for all pipe support/saddle applications protecting from corrosion damage in these hard to reach areas. TM198 provides an innovative encapsulation and protection solution that halts, mitigates and eliminates (further) CUPS and other complex structure interfaces. The coating takes just minutes to apply, and reduces maintenance costs by at least 40% when compared to traditional coatings. 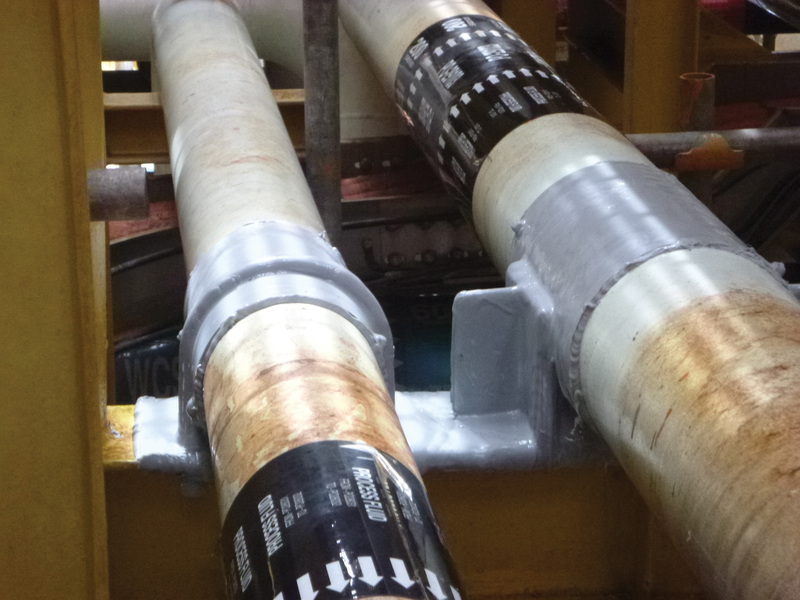 Ed Hall, MD of Oxifree, said: “One of the biggest challenges facing the oil and gas sector is how to increase asset lifetime, and reduce the costs associated with shutdowns and unscheduled maintenance caused by corrosion. This challenge becomes even more difficult in offshore installations, which operate in some of the most inhospitable environments on the planet.